Chris Kane's first-half strike moved St Johnstone 12 points above Hearts in the Ladbrokes Premiership as the visitors continued their miserable run of results in Perth with a 1-0 defeat. The lively Kane slotted home a brilliant through-ball from Hibernian-bound Danny Swanson, who added a touch of class to proceedings in his final game for Saints - he is suspended for Sunday's visit of Rangers. 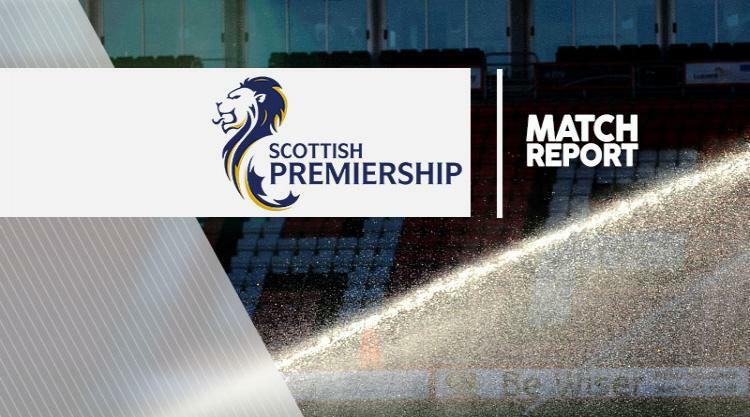 Hearts struggled to cut through a resolute Saints defence as they went five Premiership matches without victory, and eight games without a win over their opponents. After sealing fourth spot on Saturday, St Johnstone rested Paul Paton, Liam Craig and Steven MacLean as Kane, Craig Thomson and Chris Millar came in, while Alex Tziolis replaced the suspended Prince Buaben in the middle of the Hearts back three. Hearts had plenty of possession in the opening stages but could not translate it into shots on goal and Swanson could have punished them on the break had Esmael Goncalves not hacked him down. Kane had been off target with a couple of efforts from tight angles before finding the net from a similar situation in the 26th minute. Swanson had the vision to spot his run in behind the Hearts back line and placed the ball perfectly into the path of the striker, who flicked the ball through goalkeeper Viktor Noring. The goalscorer came close again with a shot on the turn before Alan Mannus was called into action out of the blue, pushing over Bjorn Johnsen's long-range strike after the forward had utilised a yard of space to turn and shoot. But Kane again threatened in the final minute of the half with a 25-yard strike which cannoned off the bar before Graham Cummins screwed the rebound wide. Hearts pushed forward after the break but Saints defended their box well and Kane forced a save at the other end with a clever flick before Mannus did well to push over Arnaud Djoum's heavily-deflected strike. The visitors put in plenty of effort but lacked a cutting edge as Mannus made comfortable stops from Liam Smith and substitute Jamie Walker. Swanson received a warm ovation as Michael Coulson's 71st-minute introduction spelled the end of his Saints career but the home fans' cheers were later silenced as substitute Craig had a goal disallowed for offside after Noring had stopped Kane's strike.